The Core Magazine is a digital wellness space for men and women of color. I co-created this website with my partner, Amber Janae. - Create friendly usability for easy interface interaction on all devices. 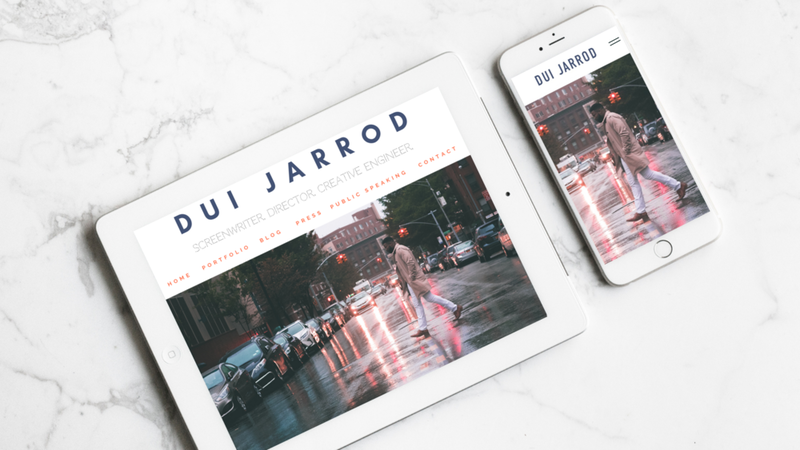 Dui Jarrod is a filmmaker from Brooklyn who wanted an online space to show his creative work. He wanted a mixture of bold and muted masculine colors while also keeping the website simple. His work and personality are bold and we wanted the website to reflect that. We decided on bold colors that complemented each other well while also allowing his work to speak for itself. With some custom CSS to make the site more interactive and personalized, we really made this website a home. I had so much fun creating this website because I usually work with female clients that want to incorporate soft and ‘feminine’ colors. This was a new challenge that I am happy I took on and we were both thrilled with how it came together. Take a look at his website here. I think you are wonderful! I didn't even know I would feel this good about my site. You have exceeded every expectation that I ever had. Really WONDERFUL. You are a talent! I'm so thankful that I found you.